Tiki Drinks have seen a resurgence in the Valley as of late. To meet this demand for tropical inspired food and rum based cocktails, Market Street Kitchen is expanding its summer cocktail series. 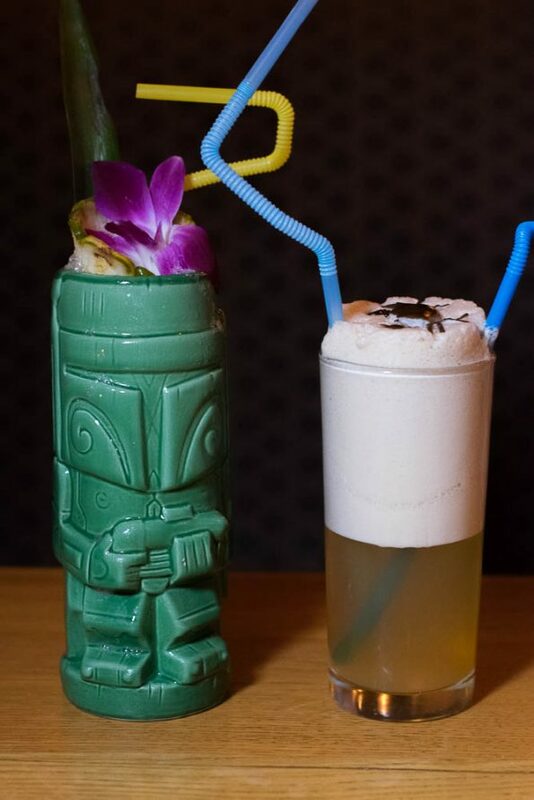 Now in addition to their other summer cocktails, they will feature a Tiki Thursday food and drink menu. We dropped by to check out the menu on the first evening of Tiki Thursday. We highly recommend getting there early as it fills up quickly (but lets be honest, it is totally worth the wait). While all of the food on the regular menu looked fantastic, we decided to stick with the Tiki Menu. We weren’t disappointed. As we stated earlier, we are very new to the tiki/rum cocktail world. That being said, if all tiki drinks are like Market Street Kitchen’s then we are sold! The Hispaniola is an agave spirits lover’s dream, we particularly loved the use of Ancho Reyes, which has recently become one of our favorite liqueurs. The apple pie liqueur in the Fogcutter is also so interesting! It adds a level to the cocktail you wouldn’t expect. The Dead Man’s Chest is great in that it uses bourbon as its base. We are always behind a good bourbon cocktail! Pieces of Eight was perhaps the most exciting drink to look at with its huge egg foam and plastic sea creature (don’t worry, it tasted fantastic too)! Executive Chef Michael Hunn’s island inspired menu is out of this world! Chef Hunn has recently joined Market Street Kitchen and if this menu is any indication of what he has up his sleeve then Scottsdale just got really lucky! All of the food is jam packed full of flavor and prepared to perfection! However, the star of the show was the Spam Fried Rice. We literally almost ordered a second serving of it. It was that good! 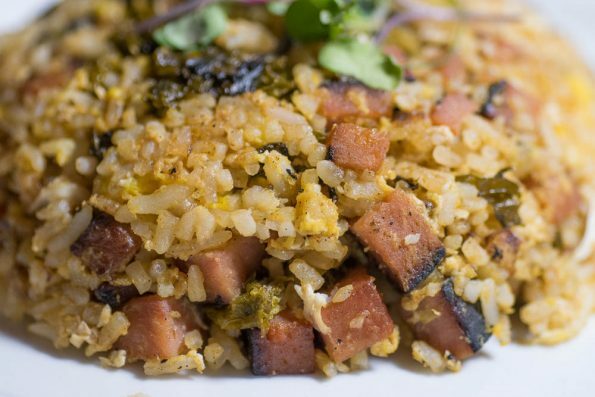 The combo of the salty spam and kale kimchi created an explosion of umami with every bite. We have not shut up about how good this rice is. Please Chef, do not ever take this off the menu (if you do, we want the recipe!). [Side Note:] The Maple Rye Creme Brulee is the best creme brulee in the Valley. Chef Hunn takes an already rich dessert and adds more levels of depth to it. We did mention we love bourbon type things right? Market Street Kitchen just made Thursdays a whole lot better. Grab your Hawaiian shirt and head over to receive $7 Happy Hour pricing on Tiki cocktails all Thursday night long (guests must be dressed in ‘Cabana Gear’ to receive Happy Hour pricing). You can guarantee that we will be hitting them up for more of that Spam Fried Rice! Where is your favorite spot for tiki drinks and island fare? Let us know! Leave a comment below or use the hashtag #GeekEats!